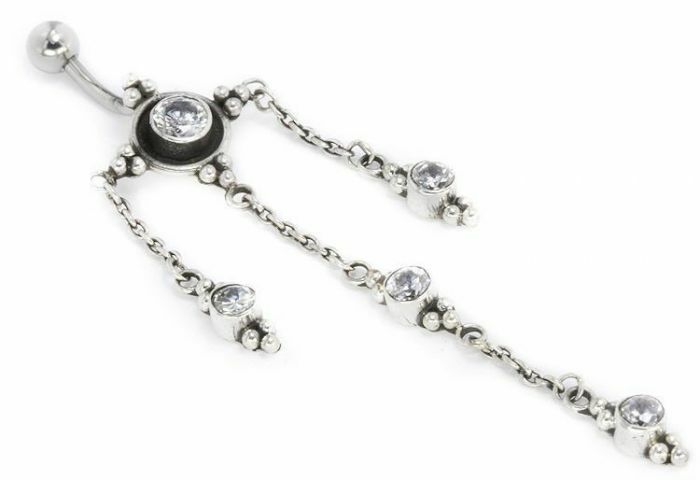 This ethereal belly ring is Out of This World! Like the North Star, the large crystal jewel shines brightly, popping out with 4 silver granulation clusters pointing North, South, East, and West. Three streams of dangling bursts shoot out from the charm, each beautiful with its own jewel and design. Check out for matching Out of This World Earrings.